Comments: This is an upright growing rose that produces clusters of bright red flowers. It is reported to have good disease resistance. 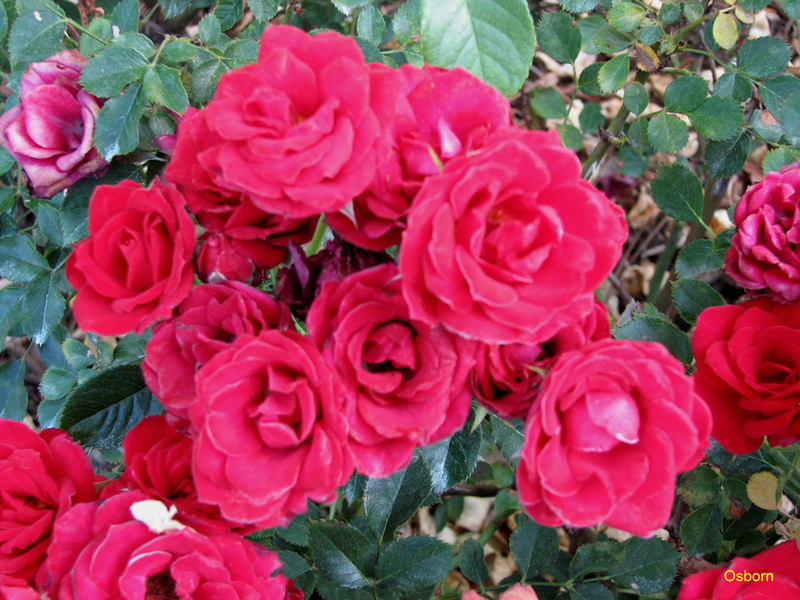 For roses provide full sunlight and a well drained soil, preferably in a raised bed. Prune ross in late winter and again as a light pruning in late summer to encourage a fall bloom which can often be as strong as the spring bloom.